Enjoy your meetings and events, make every moment count… the moment of an evening or a life! Enjoy the here and now and make every moment count… moments that last for a lifetime! The exquisite restaurant Vieux-Bois is there for the most important moments of your life to make them immortal. Since every detail is important for your events, choose customised high-quality service in an exceptional location. High-powered seminars, board meetings, product launches… the Vieux-Bois restaurant is your natural choice. Legendary staff and meticulous service, Ecocook certified for maximum impact, except on the environment. Tailor-made, individual and day offers. Not to mention a prestigious destination. With its spectacular Salon Töppfer, listed as a historical monument, your ideas come true in a magnificent way and benefit from the most attentive care up until the last glass of champagne and beyond. 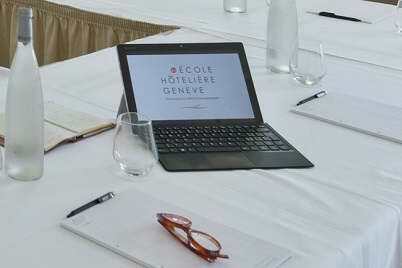 To assist you at every moment of the project, a professional events manager who knows the Ecole Hôtelière de Genève and its restaurant Vieux-Bois down to its smallest workings, will be able to use the unique potential of this machine to produce something extraordinary. 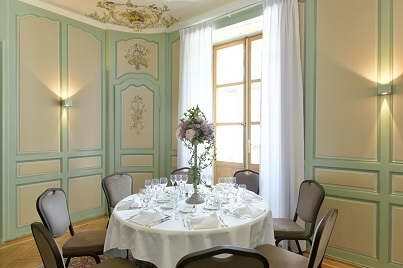 Organise a prestigious event for friends or employees – the restaurant Vieux-Bois offers the best to your guests. Once the recommendations have been explained, you will can relax and enjoy! Our highly trained team is there to understand your needs and to organise your tailor-made event, not only to meet your expectations, but also to exceed them. We believe that paying attention to the smallest details makes the difference between ordinary and extraordinary. Whatever you need to organise your event, we will strive to respond with expertise, dedication and hospitality in everything we do. The gourmet restaurant Vieux-Bois is a popular choice for wedding celebrations – one of the most important occasions of a lifetime. A wedding is more than just a day, it is the beginning of a new journey filled with wonderful moments to share and cherish. 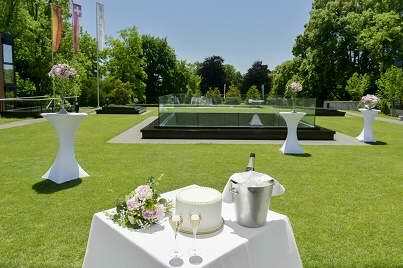 Located in a green setting, the Ariana park offers a magnificent natural setting for unforgettable photos, buffets under the stars or even orchestras, DJs and shows. Nothing is more reassuring than knowing that a team of professionals is at your side to watch over every detail of your big day. The expertise and know-how of our teams mean that every detail is taken into account so that the future spouses do not have to worry about anything on their wedding day. Each celebration at the restaurant Vieux-Bois is distinguished by exceptional flavours. In the kitchen, behind the scenes, our brilliant artisans are always busy, dedicated to the highest goal: that of transforming a few hours in Geneva, into pure happiness – your happiness! The right choice of meeting room will contribute greatly to the success of your event. Restaurant Vieux Bois in Geneva offers 6 different soundproofed spaces that can be set up and equipped according to your needs and the objectives of your event. The restaurant’s location and the flexibility of our conference rooms make it as ideal for high-powered business functions as it is for confidential, focussed meetings or for days of reflection. 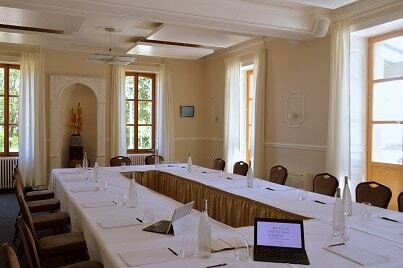 Discreet, elegant, and well-equipped, set in a beautiful park of several hectares, our meeting rooms are versatile, with multiple configurations and bathed in natural light. 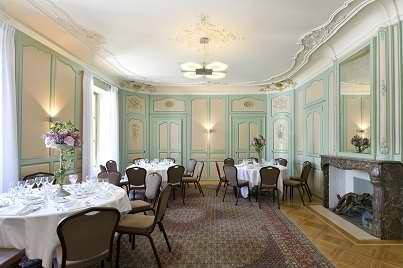 Hotel Management School of Geneva and its restaurant Vieux-Bois is the perfect place to organise your business meetings in Geneva. The meeting rooms of the Vieux-Bois restaurant are spread over two floors, have free WiFi internet access and are equipped with the latest presentation technologies. Flexibility and adaptability are our key words. Here are the possible configurations depending on the type of meetings and events you would like to organise. Served only at lunch time for a minimum of 8 guests,. To organize a prestigious event, between friends or collaborators, restaurant Vieux-Bois offers the best to your guests.